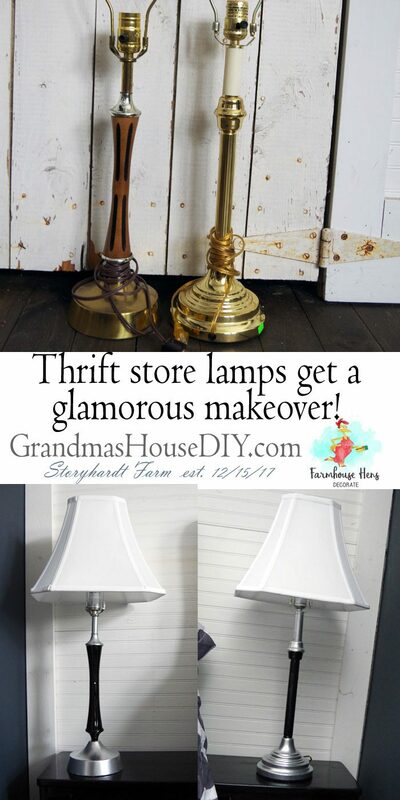 Two thrift store lamps get a glamorous makeover for my master bedroom! I found these lamps on two different weekends in two different stores and just knew I could make it look like they belonged together. 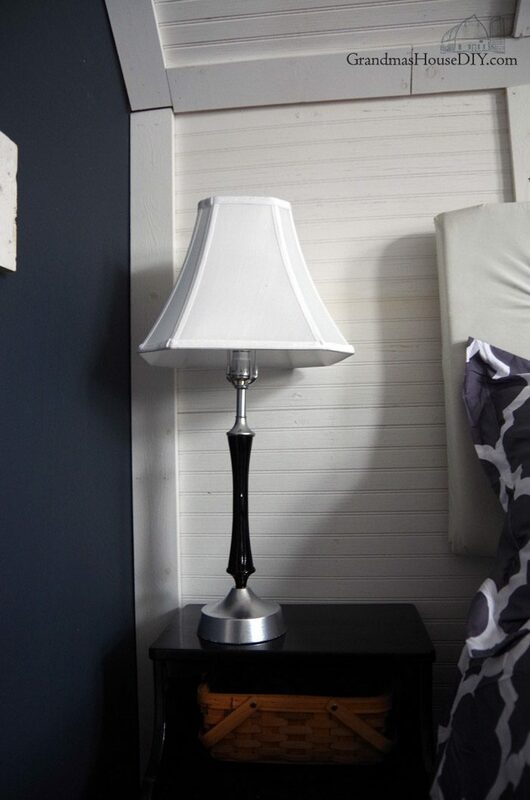 Ever since I started working on my latest Master Bedroom Refresh (that you guys saw last week) it felt like I really needed taller and larger lamps to help balance out the headboard and the bed. 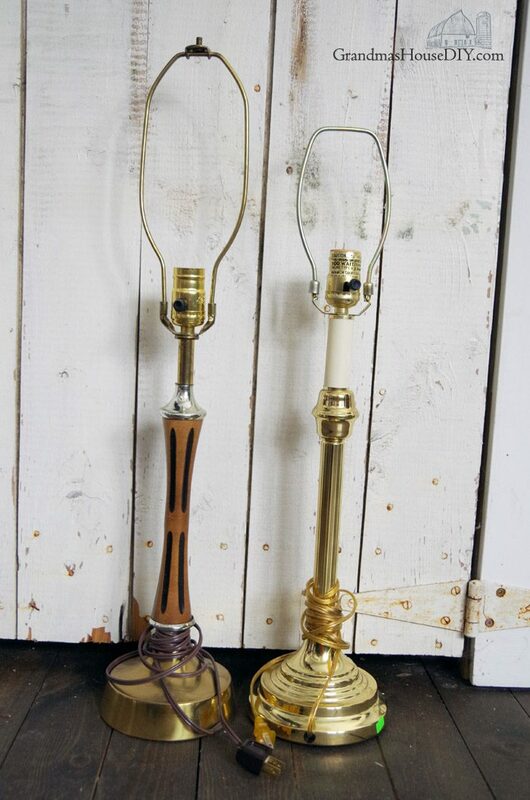 After finding one of these lamps I knew I could find another that was similar and then I spotted it and it was only $3! I started out having spent only $11 for the two lamps when I realized why the last lamp I purchased was missing a shade and was only $3, the top of its harp was broken! 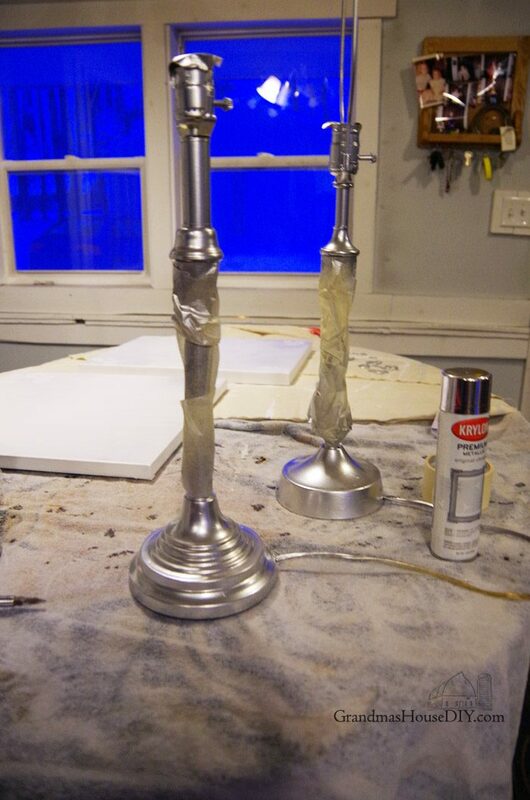 First I grabbed some leftover gloss black rustoleum and put two coats on the majority of the lamps. From there I made sure to protect the inside of the socket and I taped off the black. I then painted the bases and the tops of the lamps in a Krylon chrome spray paint and honestly I couldn’t believe how much they looked alike! For $30 I purchased the two white bell shades from Walmart and then I took the finished lamps upstairs to my master. All in I spent around $20 for for each lamp and that seems like a pretty good deal to me! I think they turned out really glamorous and like they belong together! 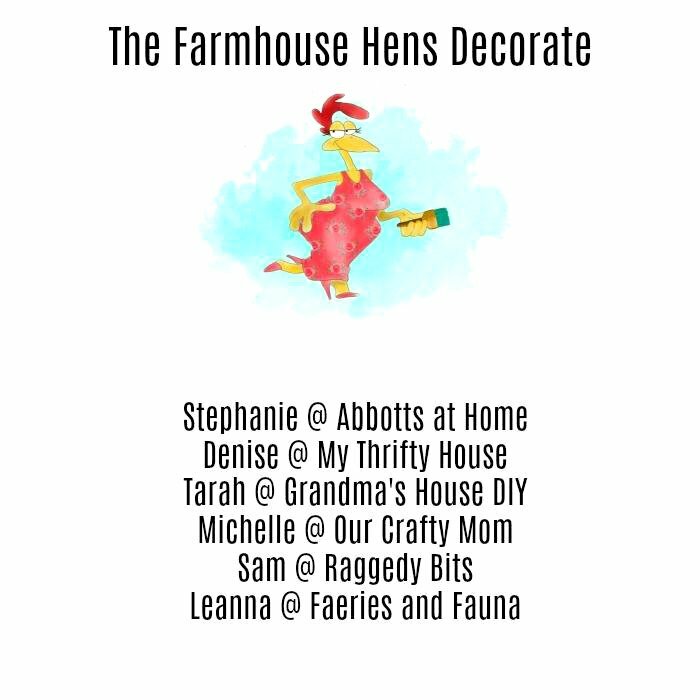 Make sure to keep scrolling to see the other thrift store makeovers from the rest of the Farmhouse Hens. 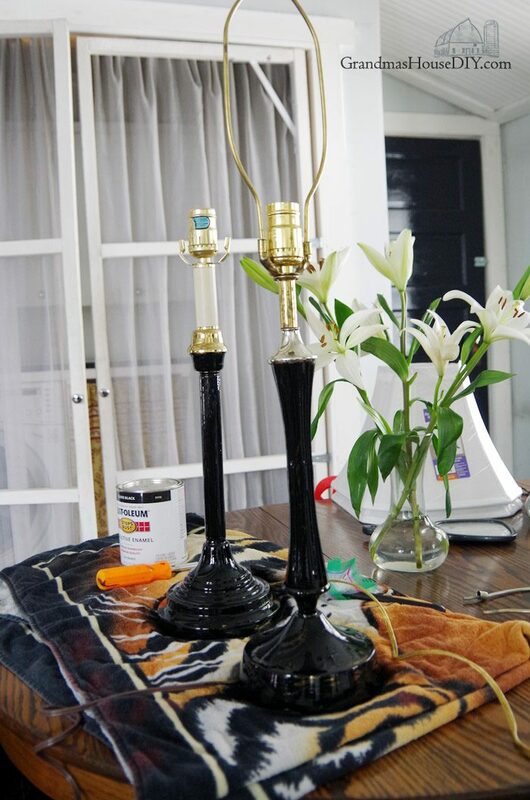 Update a thrift store table using milk paint! 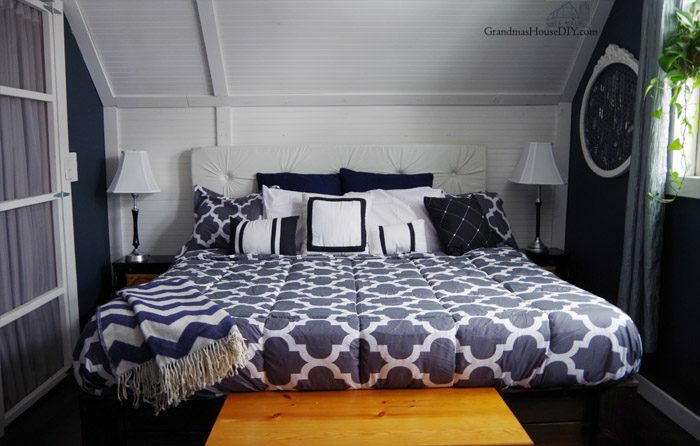 Looks great in your bedroom! I love the walls in there too. Nice job, Tarah! Pinned. Thanks Stephanie, have a great weekend! Your whole room looks wonderful Stephanie. You do a fantastic job of creating cohesion on a budget. I love the makeover. I am enjoying watching your blog evolve. In the background of some of the pictures, I see things that I remember you posting. Your home is coming together. Thank you so much Leanna! Every little step feels like its becoming more me and more mine, next up the first floor! Beautiful! You would never guess they came from a thrift store. Nice job. Thank you Rebecca, have a great week!! You did a wonderful job, and the lamps perfectly match the rest of the decor. Wow! Those look really sharp! I’m glad to see this chrome paint in action, I really like the result. Had reservations about trying it thinking it would be too mirror like. I will definitely try it out! Hi Lace, it surprised me too! It kinda went on like liquid aluminum foil but dried far less shiny and it was really easy to work with! I agree they are glamorous and I would add elegant with the black and silver! 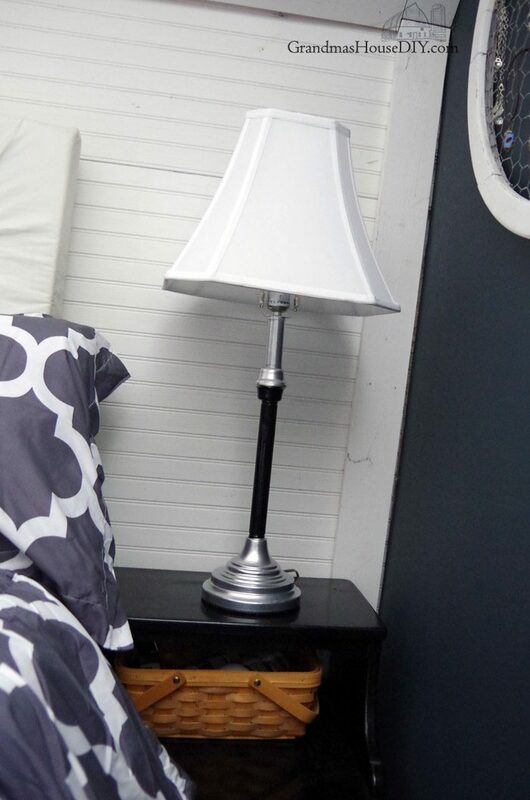 The price is a bargain because new lamps are super expensive. Love how they turned out. Your bedroom is so cozy. Thanks for sharing with us at Merry Monday. I look forward to your next project! These lamps came out so great! They look very elegant and high end! Great update!